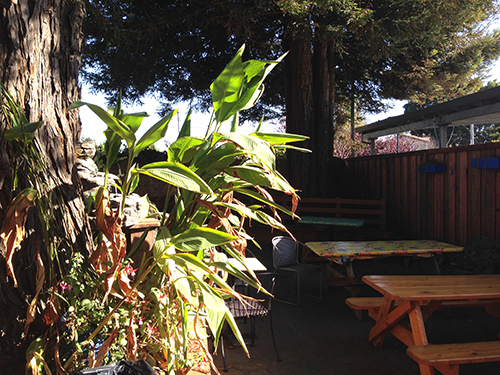 Tucked on the beach side of 41st Ave is a small breakfast/lunch cafe that offers a bit of everything. 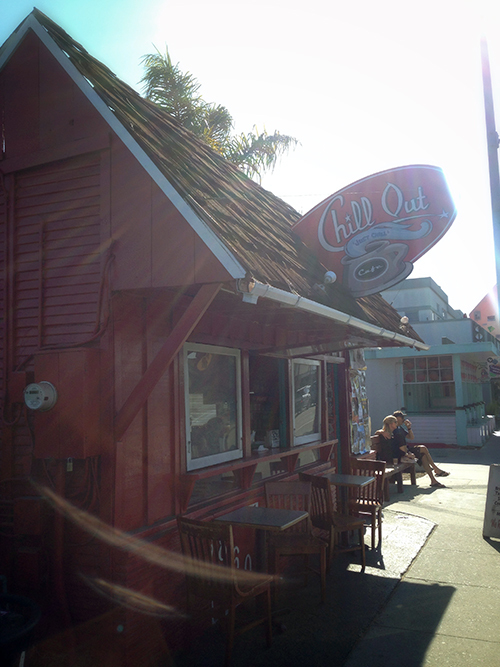 Chill Out Cafe is most known for their array of breakfast burrito options, but offers other tasty items such as salads, sandwiches, soups, smoothies, bagels, coffee, and more. Although there are plenty of places to sit, Chill Out is more of a local grab and go dining location; ideal for a post-surf or skate meal. The burritos will fill you up and can be customized to however you want. Grab a quick cup of coffee alongside the burrito or even a juice and you are set. You can watch the cooks as they whip up your food and either sit down and enjoy a mellow morning or be on your way and get to work or the beach. If you do plan on eating at Chill Out they have a nice back patio. If you are there on weekends they often have guest performers playing live music. Be sure to admire their door as you walk in. Plastered with stickers, there are some old gems on there from many many years ago. 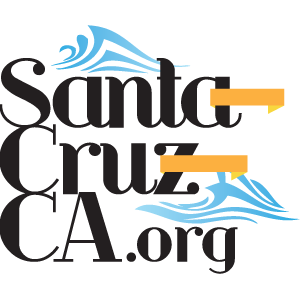 The history of East Side Santa Cruz skate and surf culture on a door…Rad. 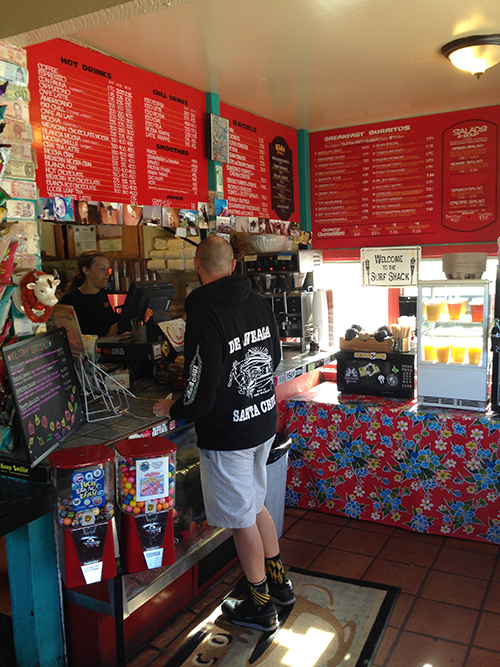 A fun fact for all of you punk fans out there, one of the breakfast burritos on the menu, “The Mr. Jeff Frady” is named after the legendary punk band guitarist of Fury 66. After touring Jeff Frady would surf in the mornings and get a custom burrito from Chill Out. He got it often enough for them to add it to the menu.